The best way to judge the quality and effectiveness of health care interventions is to establish whether the provision meets patients and their families and carers’ treatment needs. However, patients, carers and health care providers may have different views of what outcomes are important, how to measure them, and even which outcomes are more desirable than others. For example, different stake holders may have different interests in outcomes for individuals, outcomes for groups or outcomes for a specific population (e.g. people with Rheumatoid Arthritis). 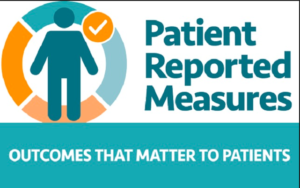 Patient Reported Outcome Measures (PROMs) assess the quality and effectiveness of care delivered to patients from the patient perspective. Ideally, PROMs should be developed with Patient and Public Involvement and Engagement (PPIE) to ensure that the outcomes measured are deemed as both relevant and important by patients. PROMs can tell us which is the best treatment for a condition; is a sub-group of patients are affected more than the others in any given condition; and whether an individual’s condition is getting better or worse over a time, thus, providing targets for interventions. For example, changes in health status at two different points in time (e.g. before and after an intervention) can be used to derive a measure of the impact of health care interventions and some PROMs are also suitable for purposes of health economic evaluation to assess whether the treatment provided is cost-effective. Development and Testing of PROMs in Rheumatology has gain a momentum in the last decade, with a recent paradigm shift in health and social care provision from medical model to patient-centred model. In a patient-centred model the outcomes are measured from patients’ perspective, with an emphasis on the improvements of patients’ quality of life, rather than objective clinical measurement of their disease activity. We know that people with rheumatic conditions can achieve remissions on their disease activity (e.g. reduction in inflammatory markers or prevention of joint degeneration) but continue to have chronic and sometimes disabling pain, fatigue and experience difficulties in sleeping and managing their mood, which can have a significant impact on coping with daily activities. PROMs can help in assessing the impact of rheumatic conditions on individuals’ lives, from their own perspective. Thus, the development and testing of PROMs in rheumatology is of paramount importance to establish a suite of assessments to evaluate the real impact of rheumatic conditions on people’s health and wellbeing. At the Centre for Health Sciences Research, University of Salford, we are developing and testing a suite of PROMs in rheumatology to provide comprehensive, valid and reliable outcome measures to embed these in clinical and research practice. These measures will help to assess the impact of rheumatic conditions on individuals’ lives, as well as providing quantifiable estimates of the prevalence and patterns of this impact and testing the effectiveness of clinical interventions, with a view to improve the rheumatology service provision.